Now let’s re-enter the circle. If not already entered, in the Control Panel, enter Positions = “24” and Interval = “2”. If not already checked, check the Offset Spacing option. To place the circumference point of the circle, move the cursor on the field until the Location Indicator reads 45 yds 4 steps | 48 steps and click the mouse button. 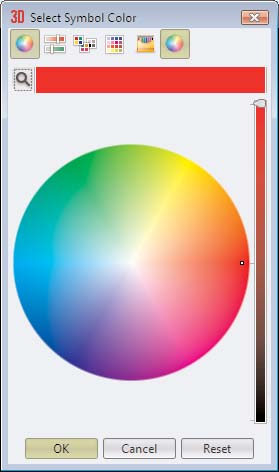 In the Control Panel, change the Symbol to “G” for Guard and the Color to a shade of red. Click Accept to enter the circle. Select Save from the File menu.